'To draw, to cut, to score, to fold, two dimensions into three: manipulating light and shadow. The surface evolves'. 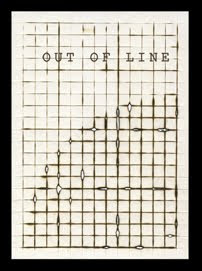 Looking forward to seeing this new show by Artist, Toni Davey at the Institute of Physics, 76 Portland Place in London. It is currently displaying her latest intricate, detailed and acutely concentrated work. Each piece is created on a flat surface and hand sculpted by various means in to beautiful 3D patterns, always anchored to the underlying structure of a grid. 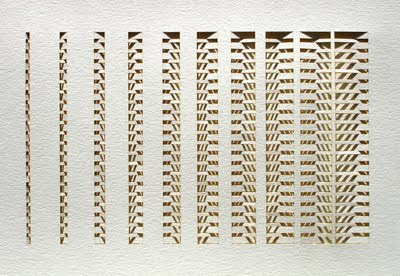 All the cut pieces have been made from a single sheet of paper with nothing added or taken away.